Move-out cleaning can add unnecessary stress to an already stressful process. If you want to get your security deposit back, you must clean everything in a rental property from the stove to the carpet. Hiring a professional cleaning service in Novi, Detroit, or Ann Arbor can make your life much easier when you are trying to move. Professional cleaners can take on the task of improving the interior of your home while you focus on other aspects of relocating. If you do not have time to clean, the professionals can do it for you. Check out this video to get some tips on hiring professional cleaners before your next move. With their help, you can be sure to get your entire security deposit back. Moving Out? Call the Professionals! When you do not have to focus on scrubbing the bathtub or cleaning the burners on the stove, you have much more time to devote to the actual move. Hire professionals that offer house-cleaning services in Novi, Ann Arbor, and Detroit so you can leave your old home in good condition without the need to devote hours to cleaning it yourself. 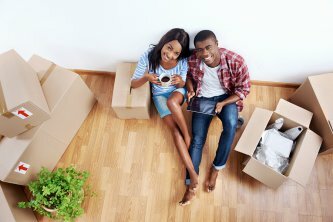 Another important reason to hire professionals that offer cleaning services before a move is to ensure that you get your full security deposit back. If you try to take on the project yourself and do not have time to do a good job, your landlord might hold on to some of that money. When you hire professional cleaners, though, they can leave the home in top condition so you can get your entire security deposit back. . The professionals have much more experience cleaning, which means they know what needs to get done and they can do it quickly and efficiently. Even if you like to clean, there is probably at least one chore that you hate to do. When you hire a maid service to do the move-out cleaning for you, you do not have to worry about doing something that you do not like. When you do not have to clean the toilet or clear out the drains, you have much more time to focus on tasks that you enjoy more like packing or learning about your new neighborhood. You can even hire a maid service to clean out your new home so it is ready for you to move in.